COMPANY PROFILE Mahindra & Mahindra Financial Services Ltd is a non-banking finance company that provides a range of retail products, including financing vehicles for commercial and personal use, tractors, small to medium enterprise loans, and other financial products. Mahindra & Mahindra Financial Services is a subsidiary of the Indian conglomerate Mahinda & Mahindra. The company is a nonbanking financial company that serves the financing needs of a sizable population residing in nonmetropolitan areas of India. The company provides a wide range of retail products and services, including financing vehicles for commercial and personal use, tractors, small to medium enterprise loans, and other financial products. The company also operates in other niche markets. It has introduced mutual fund distributions, fixed deposit products, and personal loans. The company’s main source of revenue is interest income from its loans. 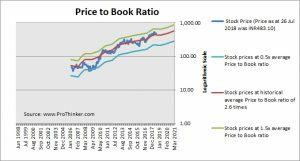 At the price of INR483.10 as at 26 Jul 2018, Mahindra & Mahindra Financial Services Ltd is trading at a Price to Book Ratio of 2.9 times current book value. 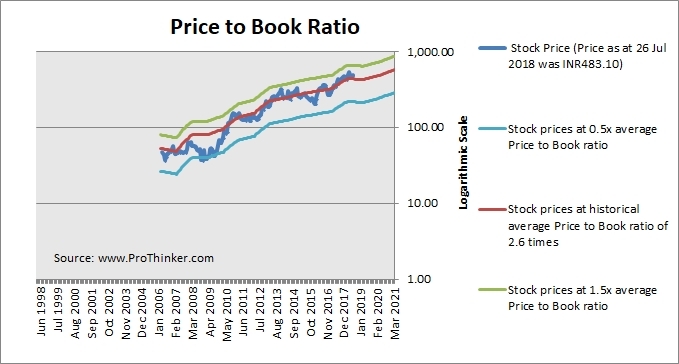 This is a 9% premium to its historical average Price to Book Ratio of 2.6 times.